Women from Newfoundland and Labrador were not allowed to enlist in the armed forces during the First World War, but they could still serve overseas as nurses. They worked long hours in crowded and chaotic hospitals treating severely wounded soldiers from the front lines. They also assumed a wide range of other roles, such as ambulance drivers, cooks, clerks, and welfare officers. A Group of VADs, n.d. Courtesy of Archives and Special Collections Division (Coll. 158 8.10), QE II Library, Memorial University of Newfoundland, St. John's, NL. Some of the women who served overseas were professional nurses. Among them was Masie Parsons, who served in military hospitals at Belgium, Egypt, and Greece. Originally from the fishing community of Harbour Grace on Newfoundland's Avalon Peninsula, Parsons had graduated from the General Hospital's School of Nursing in St. John's. 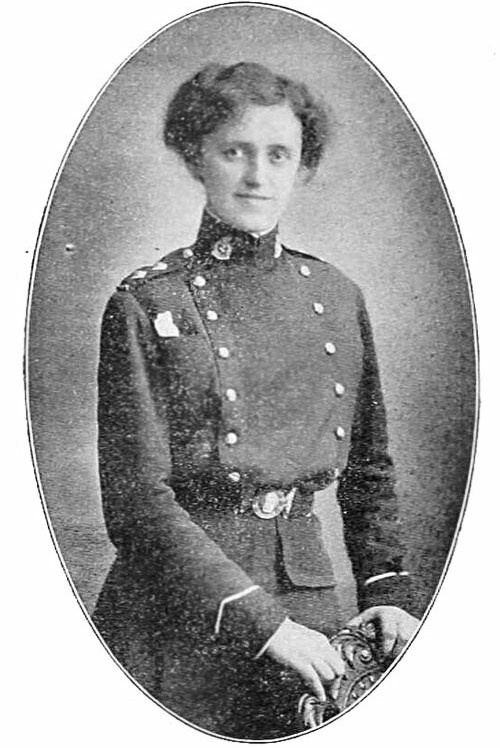 After the war broke out, she joined the Canadian Army Medical Corps. From The Distaff 1917, p. 8. 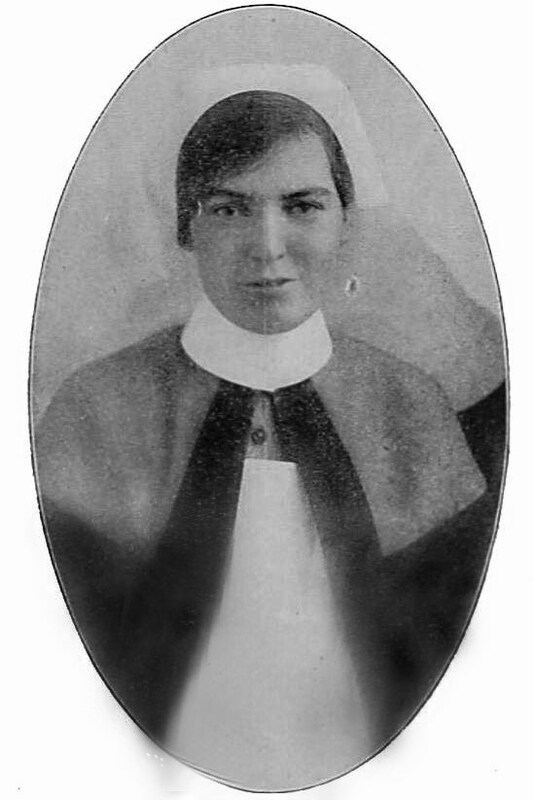 Francis Cron was another School of Nursing graduate who served overseas. She worked aboard the hospital ship Carrisbrooke Castle, which criss-crossed the English Channel, picking up wounded soldiers from French ports and bringing them back to England for treatment. It was dangerous work - German U-boats prowled the English Channel and torpedoed Allied vessels. Mines were another threat. About 20 hospital ships sank during the First World War. 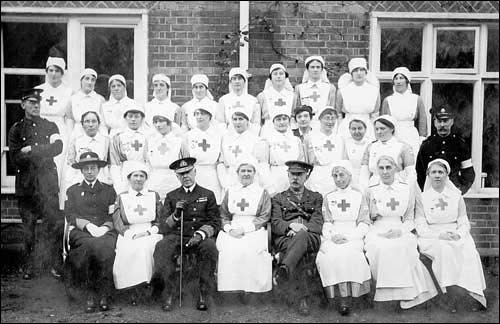 Not all Newfoundland and Labrador women who served overseas were professional nurses; many joined the Voluntary Aid Detachment — a league of semi-trained nurses, known as VADs, who performed a wide range of medical services. 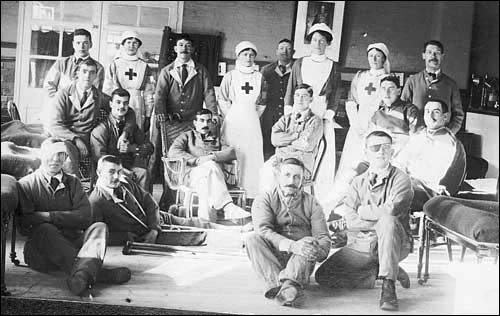 The British Red Cross Society had formed the Voluntary Aid Detachment in 1909 to provide auxiliary medical service in the event of war. 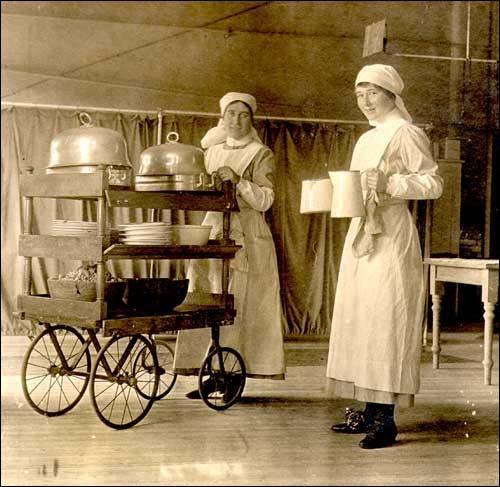 During the First World War, VADs worked as hospital cooks, clerks, and maids, they assisted at operations, they cared for patients, and they drove ambulances. Caption reads:"Bringing up the Dinners. 12.15.p.m. Ruby. Georgie. 1916." From the Ruby Ayre Album, p 7. Courtesy of Archives and Special Collections (Coll-322 1.01), QE II Library, Memorial University of Newfoundland, St. John's, NL. VADs had to complete several weeks of training before going overseas. They took courses in first aid, home nursing, and hygiene; they volunteered in local hospitals; and open-air drills taught them how to pitch hospital tents, care for wounded soldiers, and build and cook on camp fires. The VADs had to pay for their own training and did not receive a salary until 1915, when the War Office gave them £20 per annum. As a result, VADs typically came from the middle and upper classes; they could afford training fees and had enough time and money to work for little or no income. 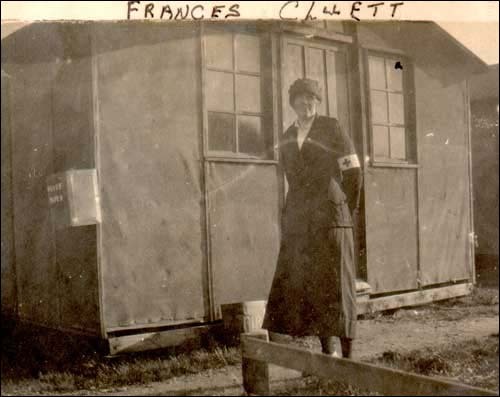 Frances Cluett, from Belleoram, Fortune Bay, joined the Voluntary Aid Detachment in 1916. She trained in St. John's and described her experiences in the many letters she sent to her family. Courtesy of Archives and Special Collections Division (Coll. 174 5.02.006), QE II Library, Memorial University of Newfoundland, St. John's, NL. After the VADs had completed their training in St. John's, they were despatched overseas. Newfoundland and Labrador sent its first contingent of five VADs overseas in November 1915. By the end of the war, about 40 had left the island. Most served in Europe's overworked military hospitals. 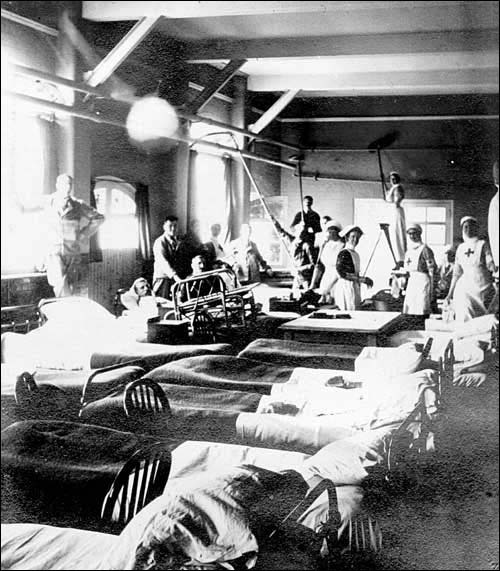 They cleaned wards, sterilized medical equipment, bandaged wounds, bathed patients, prepared their meals, and made their beds. If patients were too wounded to hold a book or pen, then the VADs read aloud to them and wrote their letters home. The women also watched over the dying soldiers. Later, they prepared the bodies for the mortuary. From the Ruby Ayre Album, p 11. Courtesy of Archives and Special Collections (Coll-322 1.01), QE II Library, Memorial University of Newfoundland, St. John's, NL. The work took a heavy emotional and physical toll on the VADs. Day after day, they cared for injured soldiers — men, who arrived with severed limbs, gunshot wounds, and countless other injuries. Some patients would never heal and the VADs could only ease their pain while waiting for them to die. 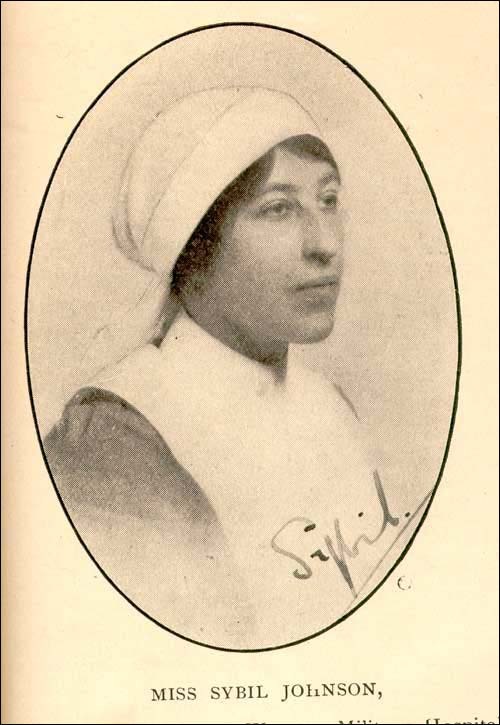 Sybil Johnson worked in a military hospital near Liverpool during the war: "The last few days have been awful," she wrote in her diary on September 27, 1917. "Poor old Sergeant MacD, a Nova Scotian soldier, elderly, had his leg off. I was on alone with the head sister when he came back from op and all the next day alone as the other VAD had her whole day off. He had a horrible dressing and the drum was so tightly packed that it was almost impossible to get the gauze, etc, out with our old blunt lifter. …The sight and sound of his pain was so awful that once, when I went to the bathroom with a tray full of dressings, I found myself panting and had to lean against the wall. Then I remembered that every second of waiting meant pain for him." Courtesy of Archives and Special Collections Division (Coll. 201), QE II Library, Memorial University of Newfoundland, St. John's, NL. The hospitals were chronically understaffed and medical personnel struggled to treat the convoys of wounded soldiers who poured in from the front lines. The VADs worked long hours and had little time off — one half day off each week, and one full day off each month. Frances Cluett worked 12-hour shifts in Rouen, France. From the Ruby Ayre Album, p 13. Courtesy of Archives and Special Collections (Coll-322 1.01), QE II Library, Memorial University of Newfoundland, St. John's, NL. The work was traumatic, but it also gave the VADs and the professional nurses who went overseas a deep sense of satisfaction and accomplishment. In a time when women's roles were firmly planted in the domestic sphere, they had made significant and very public contributions to the war effort. They had also worked within a matriarchal hierarchy - a rare occurrence in the early twentieth century world. When the war ended, many of the women found it difficult to readjust to the sheltered lifestyles that awaited them at home. They were often frustrated because their families and communities expected them to return to their domestic roles, but the war had given them a new-found sense of independence and self-reliance. In the coming years, many of the same women who had worked overseas decided to join a new battle at home — to win voting rights for women. Some former VADs, like Janet Miller Ayre, became leaders of the suffrage movement. 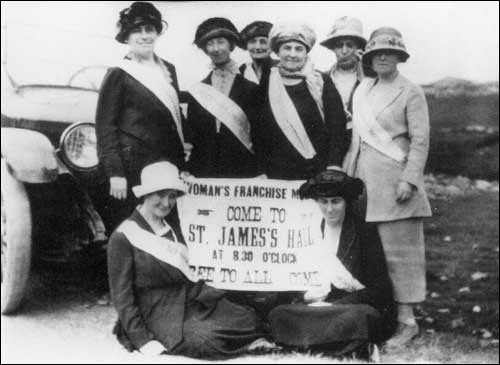 Their hard work ended in success in 1925 when the Newfoundland legislature passed a franchise bill and women finally claimed their right to vote and run for political office. Janet Milley Ayre (left, front row) served as a VAD in the First World War. Courtesy of Archives and Special Collections Division (Coll. 158 8.11), QE II Library, Memorial University of Newfoundland, St. John's, NL.